French President Emmanuel Macron will visit Egypt “in the coming weeks,” French ambassador to Cairo Stephane Roumtier said on Tuesday. The upcoming visit is expected to boost the number of French tourists in the country, Egypt’s state news agency MENA quoted Roumtier as saying. The Ambassador was speaking during a celebration marking the launch of the joint Egyptian-French cultural year at the Cairo Opera House. Egypt has been working to revive the tourism sector, a pillar of the country's economy and a key source of foreign currency, following a downturn triggered by the 2011 uprising. 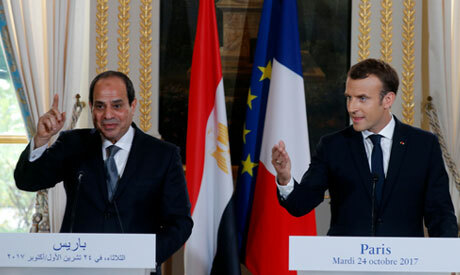 The long-awaited visit, repeatedly announced by Egyptian and French officials last year, will be the first by the French president to Egypt since he assumed office in 2017. President Abdel-Fattah El-Sisi visited Paris in October 2017 where he discussed with Macron joint efforts to combat terrorism, the Middle East peace process, and the situation in Libya. The two countries have further strengthened economic and military ties under El-Sisi, who became president in 2014.